We all know that exercise is good for us – it increases cardiovascular fitness and muscle strength. 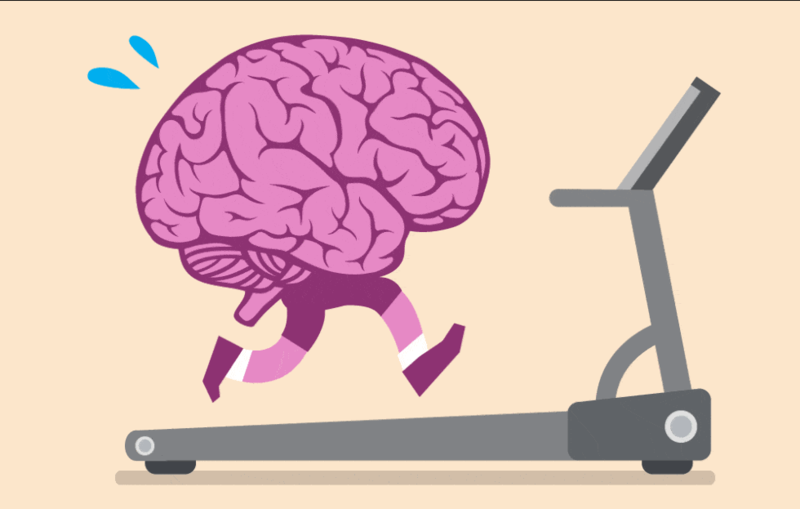 What may not be quite so obvious is that exercise is also beneficial to the brain in many ways. Exercise can affect the mood – we feel good after exercise because the body produces natural pain killers (endorphins) and a ‘feel-good’ neurotransmitter (serotonin) during exercise. It has been shown to be effective in treating symptoms of depression. Exercise can actually boost the memory – it stimulates the hippocampus – the region of the brain responsible for forming and storing memory. Exercise also helps you to focus and stay on task by helping you to ignore distractions and hold information. It is also thought to enhance creativity – the generation of new ideas. Exercise has also been linked to slowing cognitive decline – just gentle, brisk walking can help to delay the onset of dementia. many different chemicals and possibly the growth of new brain cells and new connections in the brain. The brain can be changed – the term is ‘plastic’ – and neuroplasticity is the reason that you can actually teach an old dog new tricks! ← Previous: The way to good mental health.